A recently published research paper by agricultural economists Jan Greyling and Philip Pardey in the Agrekon Journal brings home some key points about South Africa's maize production in terms of commercial and smallholder share contribution. This is timely given the current debates about transformation in South Africa's agricultural sector, with questions about the progress of smallholder black farmers arising. The paper essentially presents a comprehensive historical picture of South African maize production, and the changes in area planted, spanning the period 1904 to 2015. It includes both commercial and smallholder production, decomposed into their respective output, planted area and yield components. But before delving into Greyling and Pardey story, I thought it would be good to briefly present the history of the maize production, with a focus on South Africa. Maize was domesticated in central Mexico around 1500 BC. It was then brought to the African continent around 1500 AD where it quickly spread to all corners of the continent in a relatively short period of 500 years. It is now Africa’s most important grain crop. In South Africa, maize was first introduced in 1655 and has since become one of the dominant food crops. The crop is produced in all the provinces of South Africa, but the most significant producing regions are the Free State, Gauteng, Mpumalanga and the North-West provinces, accounting for roughly 87% of overall production. 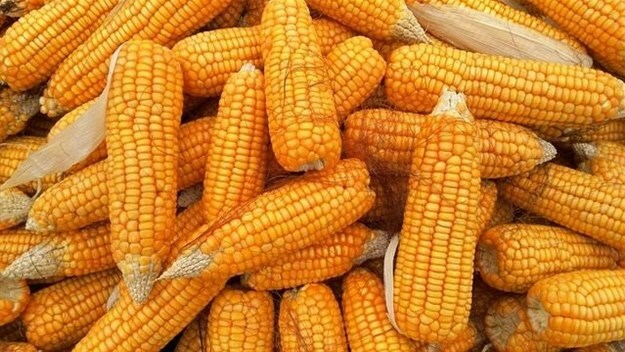 On average, between 2.5 and 2.75 million hectares of commercial maize are planted in the country each year. This accounts for nearly two-thirds of the commercial area in field crops. Now back to Greyling and Pardey story, figure 1 shows the historical perspective of the recent progress. But I have shortened my data set to 1936/37, instead of starting from 1910 as it’s the case in Greyling and Pardey’s paper. In 1936/37 production season, South African farmers planted 2.5 million hectares of commercial maize, which is 8% below the area planted in 2017/18 production season. The output that season was roughly 2.5 million tonnes, with a yield of about 1.0 tonne per hectare. However, in 2017/18 production season, the yield was about 5.6 tonnes per hectare, hence production reached 12.9 million tonnes. This shows the benefits of technological advancement and better farming practices. Moreover, South Africa’s smallholder or non-commercial farmers planted 755,366 hectares of maize in 1936/37 production season, and only harvested 218 000 tonnes, with poor yields of about 0.3 tonnes per hectares (see Figure 1). In the 2017/18 production season, the area planted by smallholder farmers fell to 314,835 hectares, while production increased to 593,975 tonnes. Similar to commercial production, this was lifted by improvements in yields which were recorded at 1.9 tonnes per hectares. While smallholder farmers’ maize yields are still significantly lower than commercial ones, it is still good progress from levels seen in the 1930s. Most importantly, this means that an improvement in yields in smallholder farming areas could have a notable benefit to farmers in those areas, but would require better inputs and farming practices. In fact, some organisations such as GFADA, Grain SA, AFGRI, Afgrain Food Group and SAGRA, amongst others are already doing some work in the former homelands to address the lower productivity issue in the farming areas. Overall, South African maize production underwent some extraordinary changes over the past century. In 1904, South Africa produced 328,000 tonnes of maize. By 1935 that had grown to 1.68 million tonnes, increasing to 12.9 million tonnes in 2017/18 production season. Aside from the technological advancements, Greyling and Pardey documented the policies that partially influenced maize production in South Africa over the years for both commercial and smallholder farmers (predominantly black). Now, the key question on my mind is whether the decline in maize area planted by smallholder farmers over the years is due to progression into commercial or plantings have stopped in some areas, with (maize) fields turning into pastures, particularly in the former homelands?